I Just Finished a Product Photography Project! I just completed a project for Cultural Interiors, a culturally eclectic home decor and gift boutique in the Los Angeles area... 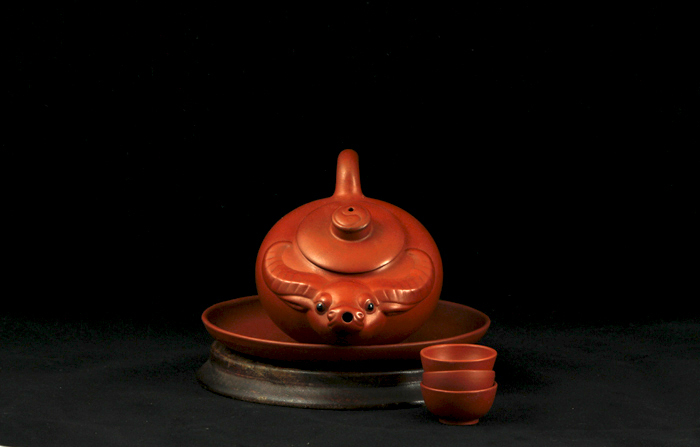 The products were Artisan Yixing Clay Teapots. They were shot for Cultural Interior's ecommerce website. I am now doing Product Photography... If there is anything I can do for you and your company, let me know. Your Brand… Is what distinguishes you from the others. Your Brand's visual content is the overall look that attracts customers to your product. Your Brand's product photography is a vital tool to visually communicate your unique products to the World…. Whether it be for the Web presence or for print. Art, Hand Made Crafts, Home Decor and Household Items, Accessories, Electronics, Personal Care Products. I always wanted one of these Subway Signs… Thought they were pretty cool. But as much as I searched for one with a familiar street, I never found one representing MY neighborhood. Now mind you, up until roughly two years ago, we had no Light Rail System in the neighborhood. But now we do! Soooo. I created one. At first I created the Sign for my own amusement, an homage to the neighborhood I grew up in… The original “Westside” of Los Angeles. I made my custom sign to fit my entryway. Something to hide the circa 1940’s doorbell chimes that greet you at the door. Viola! When I got the finished piece home, I proudly hung it in my entry. Then my dear friend came by, saw it and had to have one too! So there you go! My sign is large sized to fit my custom space, hers is smaller and complements her family Café Style kitchen… Where will you hang yours? Now I can also do custom signs that reflect your neighborhood too! Contact me! They make a cool graphic statement and shows pride for your neighborhood. They also make great gifts too! My art has never followed a particular theme or plan… I just create stuff and record things of beauty. As long as I can remember, I have been inspired by most everything seen, with things found in nature being my favorite. So stay tuned, I’m just getting started and making it up as I go!